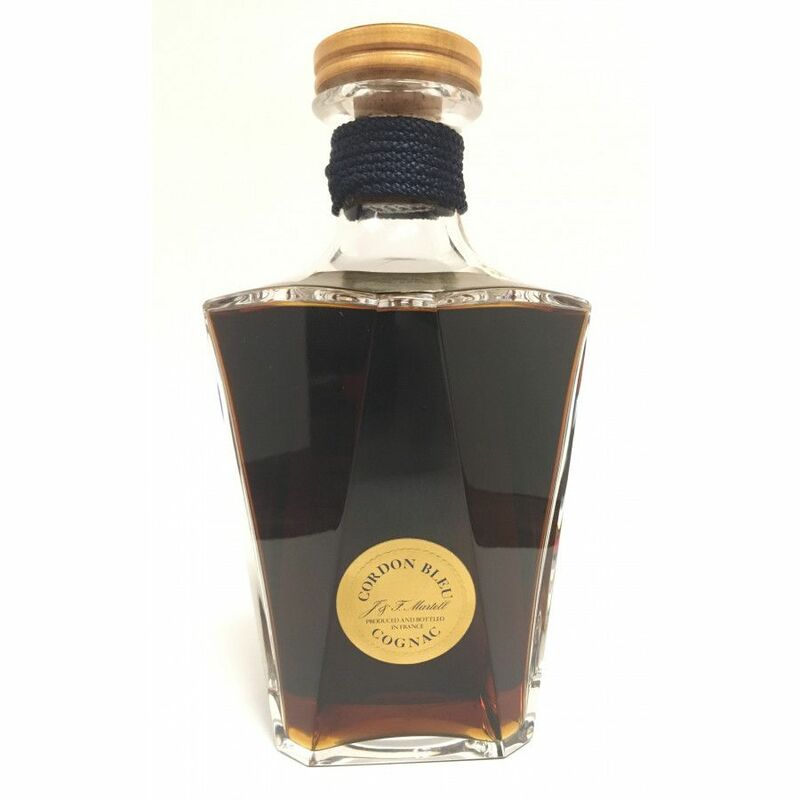 The seller received the bottle as a birthday present. He received the bottle from an neighbor. 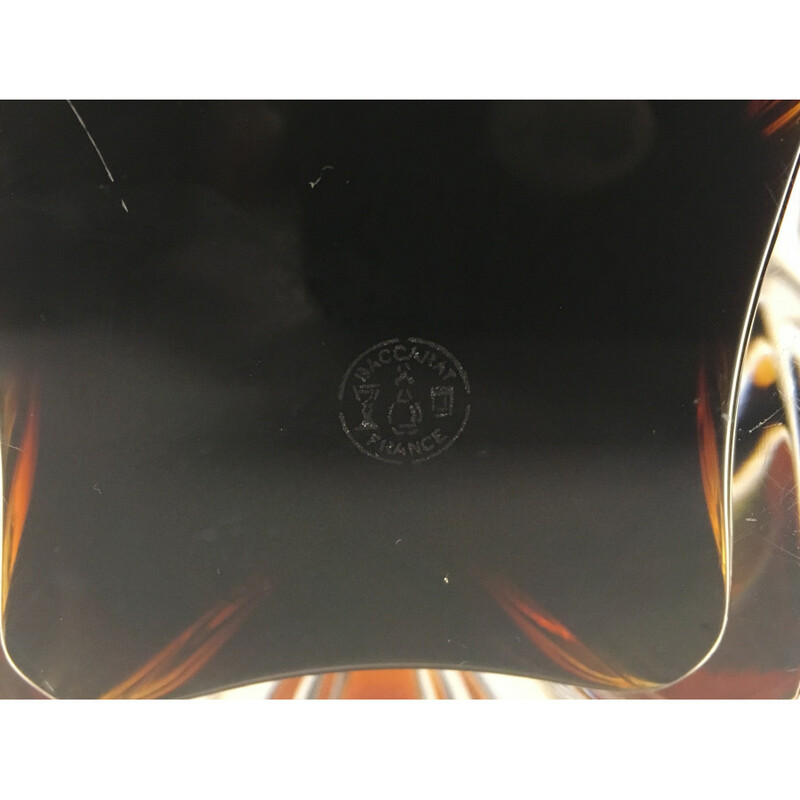 The bottle was still corked and had never been opened, (the liquid level was where it should have been). 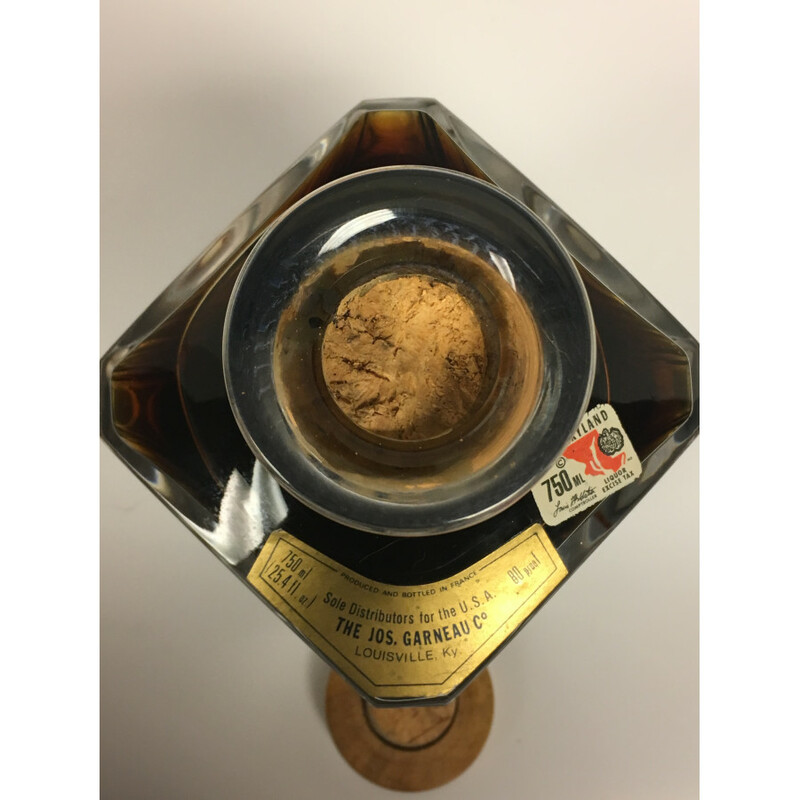 Through the course of the possession the cork has split in half but it has not negatively affect the integrity of the cognac itself, the bottle remains sealed and the liquid level is the same. 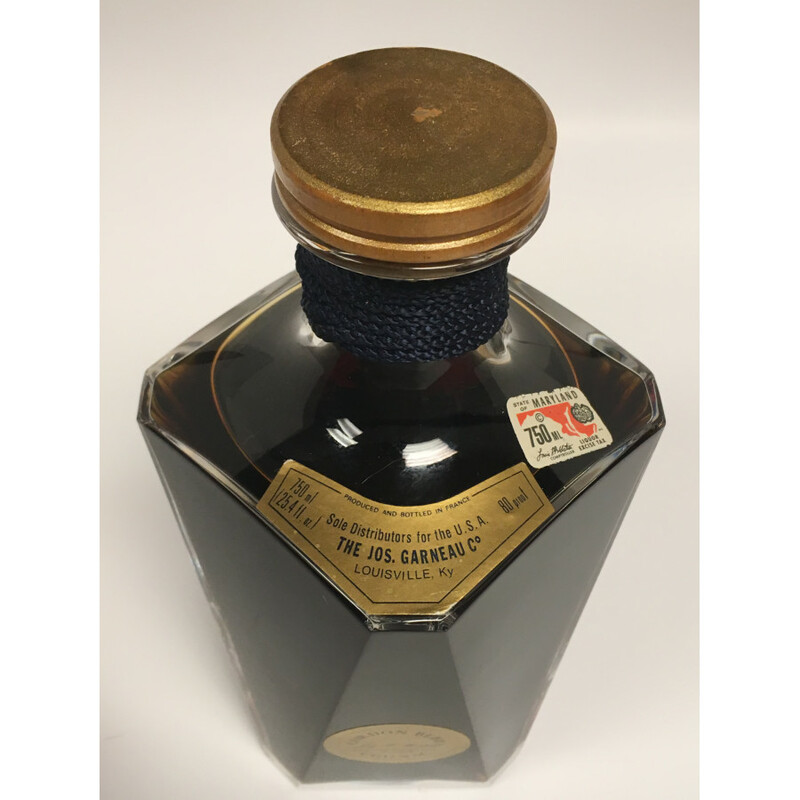 A very impressive Baccarat Crystal decanter containing Martell Cordon Bleu, the flagship bottling in the Martell family. 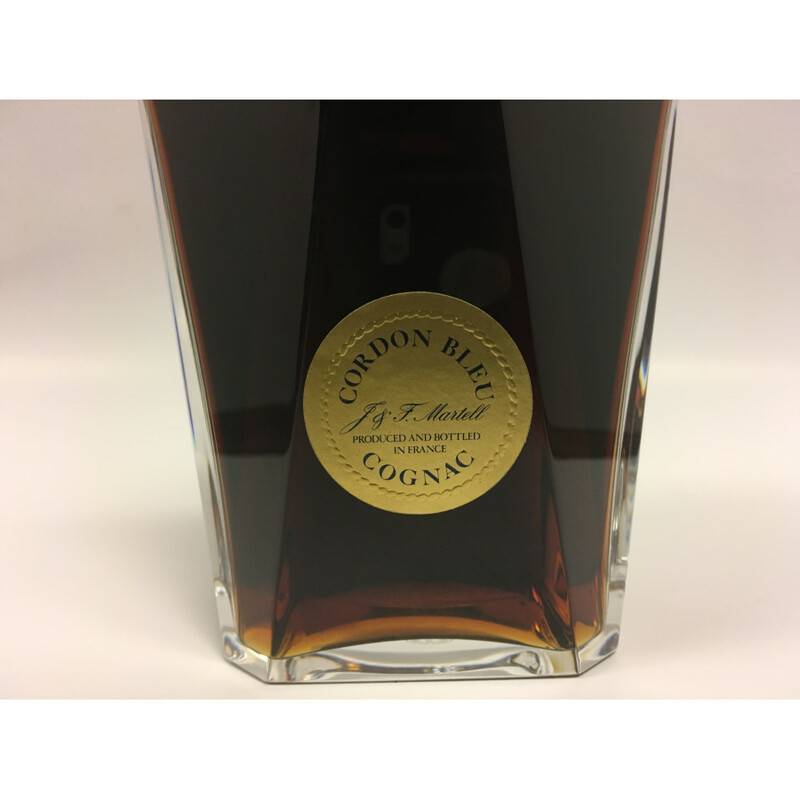 The Baccarat sets of the Martell Cordon Blue Cognac were made between 1956 and the 1990s. We estimate this botte of around 1970. Private Seller from USA. Shelved in the cellarand kept away from humidity. All duties paid.